Armoured electrical cable with copper electrical wire. 6 AWG AC90 includes 3 copper wires and one ground wire. Used in dry locations only, for open and concealed electrical wiring as well as cable troughs and ventilated flexible cableways. 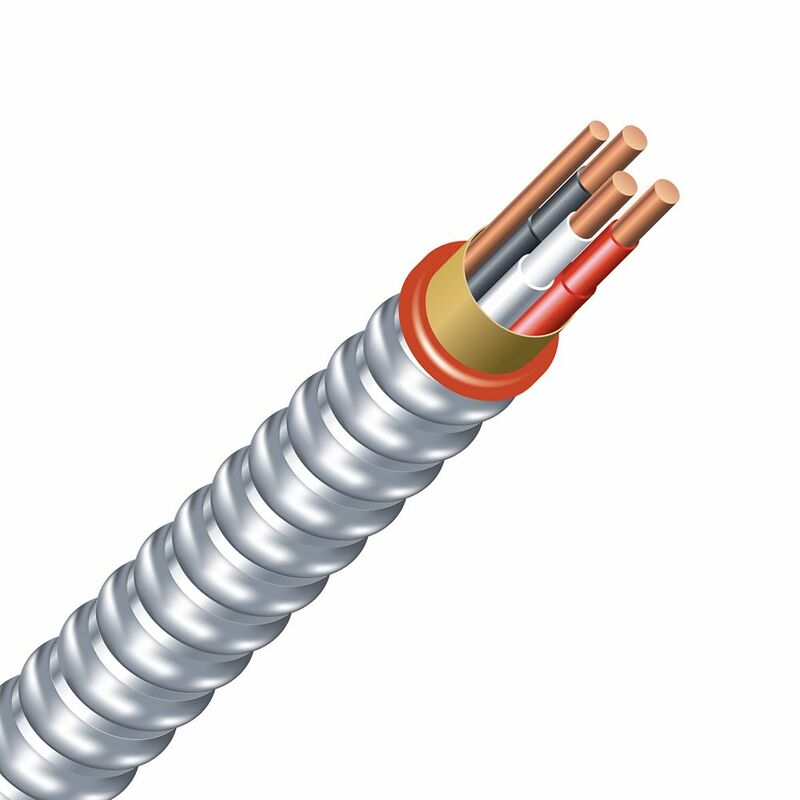 Southwire AC90 armoured electrical cable is manufactured using copper conductors with PVC/nylon insulation and a bare copper ground wire wrapped with bare interlocked aluminum armour. Minimum recommended installation temperature is minus 10ºC. CSA cold temperature rating is minus 25ºC. Maximum allowable conductor temperature is 90ºC. Price, availability and gauge size will vary by location, please contact your local Home Depot store for details. Designed for general plumbing applications, this silver bearing solid wire solder is ideal for soldering water-tight seals on copper pipes, hot water heaters and plumbing fixtures. The lead-free formula is safe for potable water systems. Use with lead-free plumbing flux for excellent performance. Melting temperature of 430 degrees Fahrenheit. Armoured Electrical Cable Copper Electrical Wire Gauge 6/3. AC90 6/3 - 150M Armoured electrical cable with copper electrical wire. 6 AWG AC90 includes 3 copper wires and one ground wire. Used in dry locations only, for open and concealed electrical wiring as well as cable troughs and ventilated flexible cableways.